Not exactly a sequel to “Doomsday Book” but a novel set in the same universe with the appearance of several minor characters from the original.Ned is suffering from time lag, a condition brought about by making too many jumps to the past to try and find the bishop’s bird stump. In the future, a rich benefactor is restoring the Covington Cathedral at great expense and wants every detail perfect. She has promised the University funding if she can utilize their time travel technology to make sure everything is exact, something which seemed like a good idea at the time but comes with unintended consequences.To escape the nagging of Lady Shrapnel, Ned is sent back in time to a different era to restore history. Seems a fellow historian brought back an artifact, something that should never happen. Ned’s goal is to return the artifact before history is set completely off course. Willis’ book is a fun, entertaining read that has a tendency to wander down the primrose path at times. For the middle third, Ned is trying to figure out what his assignment is and not having a good go of it. The book also starts at a deliberate pace, setting up the universe and the characters. However, the final third that examines the nature of time and the implications of time travel is fascinating and will please most sci-fi fans. When his father suffers a stroke, Joe Guffman returns to the hometown he left behind 17 years before to confront his past and ponder his future. The biggest compliation–Joe wrote a fictional book based on his life growing up in the town that didn’t exactly sit well with some of those who depicted in his novel. Upon his return, Joe is involved in a bar fight, has a drink thrown in his face and finds copies of his book thrown onto the front lawn. But Joe is having other issues–his second book isn’t working, he’s estrange from his brother and his father is dying. In the midst of all this, Joe seeks to reconnect and make peace with his past, get back with his high school girlfriend who he never really got over and figure out what the future holds for him. Jonathan Tropper writers about fundamentally flawed males in each of his books and you’ll find no more flawed character than Joe. Told from the first-person persepctive, we see and hear things from Joe’s eyes, as well as getting bits and pieces of the book thrown in. Both work together to create a portrait of Joe who is seeking approval and acceptance by his family and friends all while trying to be his own man and stand on his own two feet, not defined by what others say or the expectations they have of him. With The Book of Joe, Tropper makes some interesting comments on the nature of relationships guys have not only with other guys but with the women around them. While I was aware of the titles of David Sedaris’ books before (they just kind of jump out at you when you’re browsing in the bookstore), I have to admit I’d never really jumped on the bandwagon before now. For some reason, it seemed that everyone was buzzing about this book when it came out and that generated some curiosity. Then, one day while browsing the free audio book downloads at my local libary, I saw the book had just been returned and decided to give it a chance. Listening to this series of essays, I have to wonder if the experience might not be different from reading them in printed form. The collection is a mixture of Sedaris reading them in a “studio” as it were and to an audience. I have to admit the ones that Sedaris reads or performs to an audience worked a lot better and were a lot more memorable. One story in particular about Sedaris’ encounter with a couple who was dressed nicely but had potty mouths was particularily intriguing. Sedaris writes with a sarcastic wit, which I think comes across better when you hear the stories read aloud. There are some writers who just work better when you can hear them tell their stories as opposed to reading them. (Garrison Keillor is an example for me). The stories all range from short, quick essays to a longer two-disc length story on Sedaris’ attempts to quit smoking. With this being my first exposure to Sedaris, I will admit I enjoyed what I read/heard enough to want to seek out his previous works and see what I’ve been missing. 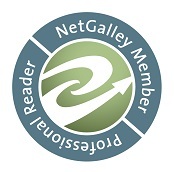 As for this week’s question, I have to admit when it comes to cataloguing, more often than not I’m using Amazon. Maybe I’m not reading obscure enough books or maybe it’s just that I someday feel as though Amazon is going to partner with Google and assimilate us all, but it usually meets my needs. 1. I grew up in a military family and we moved around a lot. One thing that fascinated me was which books were used at which grade level the various places we lived. There are some that are univeral like Romeo and Juliet in the ninth grade and Lord of the Flies in the ninth grade, but there were some I missed such as not reading To Kill A Mockingbird or Catcher in the Rye as part of my formal education. I was thinking back on all the books I’ve read as part of my formal education and I’d have to say the best ones were A Tale of Two Cities and My Antonia. I really liked both of them. 3. To Kill A Mockingbird. It’s a novel that just works on so many levels. I loved reading it and it’s one I pick up to re-read every couple of years. It’s just fantastic. Timeless, well-written….a great book. 4. Lord of the Flies. Harry Dresden’s universe keeps expanding with the seventh installment of The Dresden Files, “Dead Beat.” I read somewhere that Jim Butcher takes a lot of joy in putting his hero through the wringer and no where is that more true than in this book. Harry is beaten up physically and emotionally over the course of a novel that expands the on-going conflict between the Red and White councils, puts Harry at the center of a conflict to bring forth a god-like being and pushes some of the on-going plotlines of the series forward in an interesting fashion. Harry’s hired to find a lost book. Well, maybe hired is the wrong word. More like blackmailed in order to keep his friend, Karin Murphy out of trouble. Harry agrees, not realizing what he’s getting himself into. Things quickly go from bad to worse for Dresden as the story unfolds. “Dead Beat” finds Dresden become more world-weary from his battles with various demons, mosnters and villians, but he’s still the same guy we met back in “Storm Front.” He’s a good man, trying to make the right choices, no matter how tempting the lure of the dark path might be. The story is an epic, sweeping one that will draw you in from the first page and keep the pages turning until the last one is done. Then, you’ll be eager and anxious for the next installment, especially give some of the series-changing events that happen here. And while it’s good, I didn’t find “Dead Beat” as great as the last several installments of the series. Part of that may be that missing elements of Murphy, who is off in Hawaii during these events. That said, this is still the best fantasy series in print today and well worth the time. David succeeds beautifully at weaving the story of Peter Pan for a modern audience. But instead of focusing on Peter as the central character, David creates his own, Paul Dear. Early in the story, Paul’s baby sister dies, causing a rift between his parents and their separation. Determined to make his mother happy again, Paul sets out to Anywhere to find a new sister and bring her home to his mother. Along the way, he meet the Boy, who is the kind of Anywhere, refusing to grow up, self-centered and having fantastic adventures. David tells the story in a omniscient narrator voice with brilliant asides to the audience. The story is modern but also timeless with references to modern day drugs to stop little boys from having fantastic adventures in their imagination. But while it does have those hints of the modern world, the storytelling and the universe are timeless. If you’re familiar with Peter Pan either from the popular Disney movie or from the J.M. Barie original story, you’re in for a treat with David’s unique take on the story. 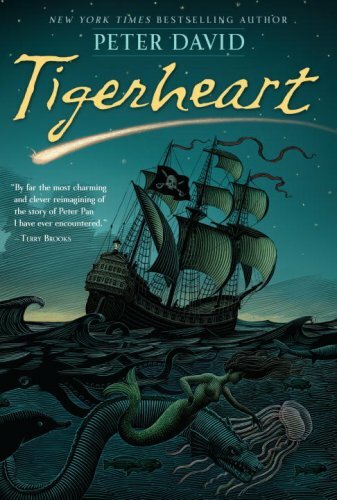 Reading “Tigerheart,” I found myself wishing David had written this years ago so that it would have been adapted for the big-screen as “Hook” instead of the movie we got. Seeing Steven Spielberg create this world would have been wonderful. While it’s marketed for young adults, I have to say that “Tigerheart” is a joy and delight for anyone who hasn’t or doesn’t want to lose touch with their inner child. One of the best books I’ve read this year and one that I heartily recommend.